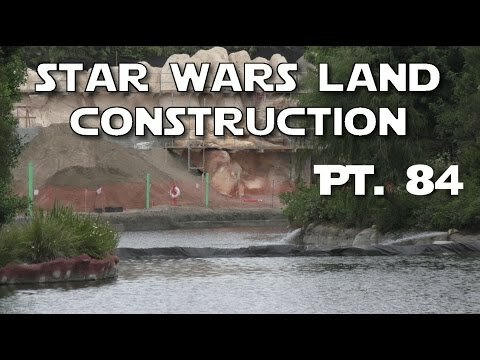 Wouldn't that be nice.. Star Wars Land taking place in the era of the Empire. I'm sure we know thats not going to happen. Actually, a lot of the concept art, so far, shows vehicles and storm trooper armor from the original trilogy. Although true, it's been confirmed that it takes place during the sequel trilogy. New SILA video from today 5/5/17. 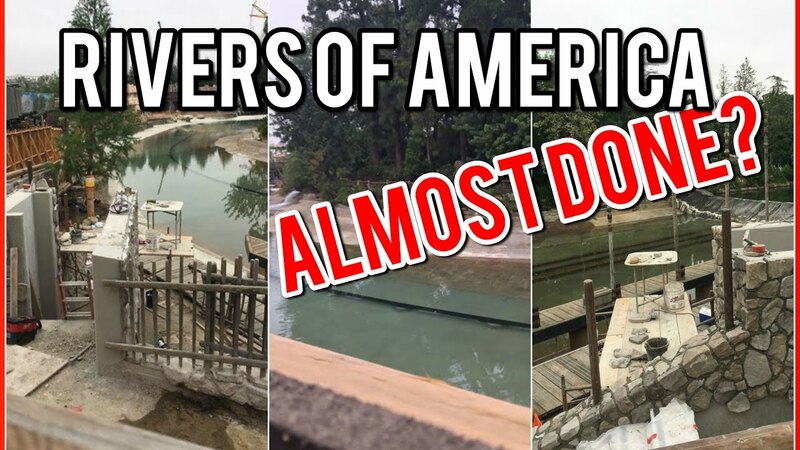 The dams are gone and ROA is now at least starting to be filled with water! Last edited by Hammer; 05-05-2017, 02:40 PM. It remains to be confirmed with images, but I don't think the dams are gone just yet. Given how clear the fresh water remains, they are filling the new area and once satisfied with it, they will remove the coffer dams. Pretty much the inverse of how they drained it in the first place. It is an exciting development to be sure! Yes I would completely agree, I was just going to edit my post above. The dams have to still be in place until they complete testing and such. Yes, this should all be very exciting to see!!! Either way... OMG OMG OMG OMG!!! Should I be concerned by how excited this made me? A brief video from Fresh Baked. He was given a few images from today that show some things from angles we haven't seen. The dam is clearly still there in the first photo. What is now clearly the location of an ADA lift for the Canoe dock is in the second photo. Cool stuff!! Oh man this is so excellent to see water going back in. Also makes you appreciate the water being murky as an actual purposeful move to hide the tracks and also how shallow it is. Some more video from SILA today. 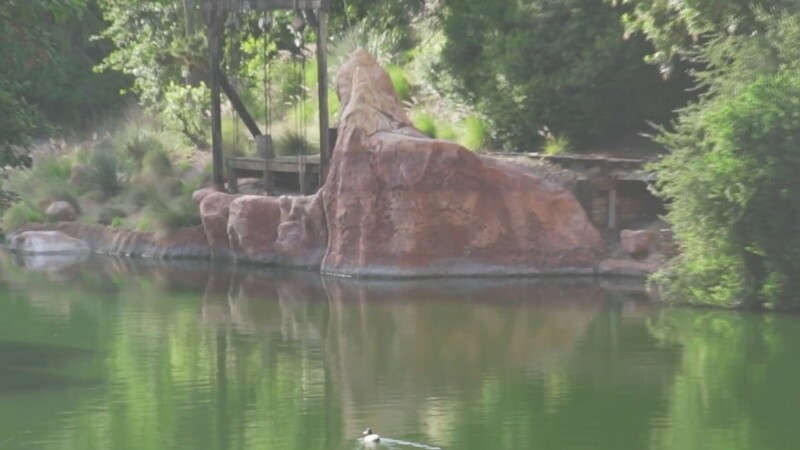 We've got a mine cart for theming, new lighting installed, and fresh concrete on the Big Thunder Trail. I'm giddy. I'm going to play Devil's advocate and say they are not actually refilling the river for good right now, but merely testing for leaks, etc. It just seems they are still doing so much work along the northern bank that having water at workers' backs would make things more difficult. Here's a little additional SILA "We Got Water" video from yesterday 5/5/17. They're clearly continuing to add water to the new part of ROA. New video from SILA for today. 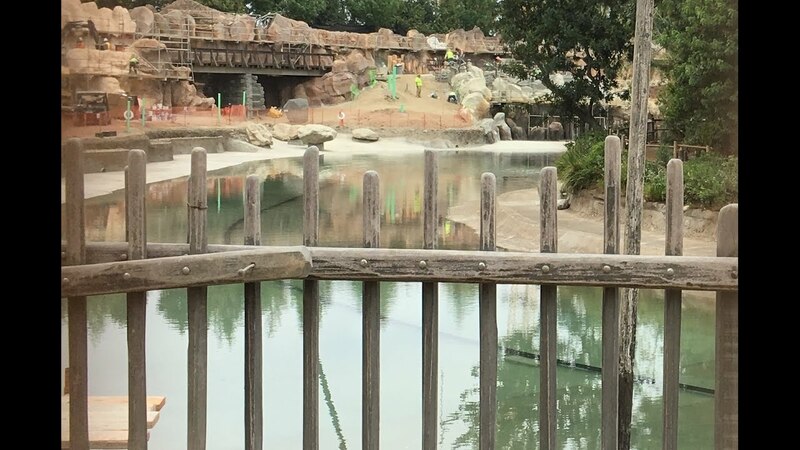 Sorry to disappoint, but I don't think they'll be testing the waterfalls before all of the rockwork and other details on the north shore of the river are done. I haven't watched the videos from the last couple of days, but unless those pipes have been completely converted into tree roots, I seriously doubt that they're going to be getting water splashed onto them. Where do you see a mine cart? I am excited to see it, but I watched through the SILA videos from 5/5 and I can't see it. Fresh Baked video from Saturday. Interesting new brackets/supports above the circular room in BE. The river appears to be full now to the water's edge submerged planters. Great coloring added to the waterfalls behind the train tracks. 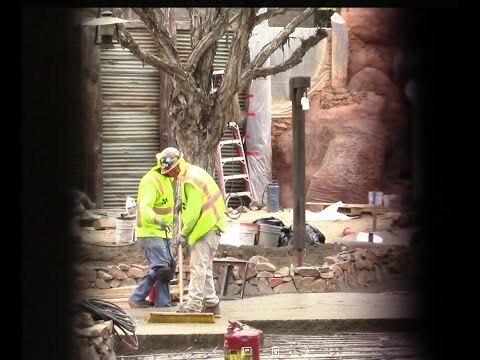 Walkways behind Big Thunder are being poured and finished. And actually, I see no reason why they can't do waterfall testing to see how the flows work. I imagine it will take a few corrective adjustments to get things right. I don't think they will be running all that much just yet, but certainly they need to see if all of their calculations on retention areas and spillways are working correctly. We shall see. 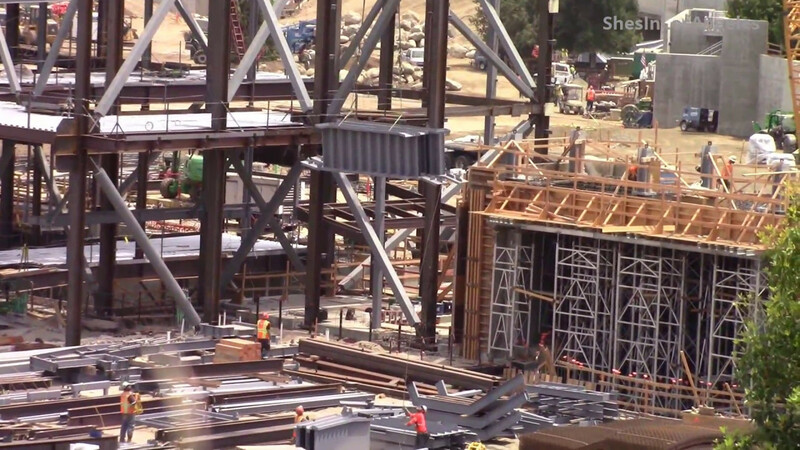 Is it just me or does anyone else think that they are using an extraordinary amount of rebar for structures of the size that are being built in SWL?